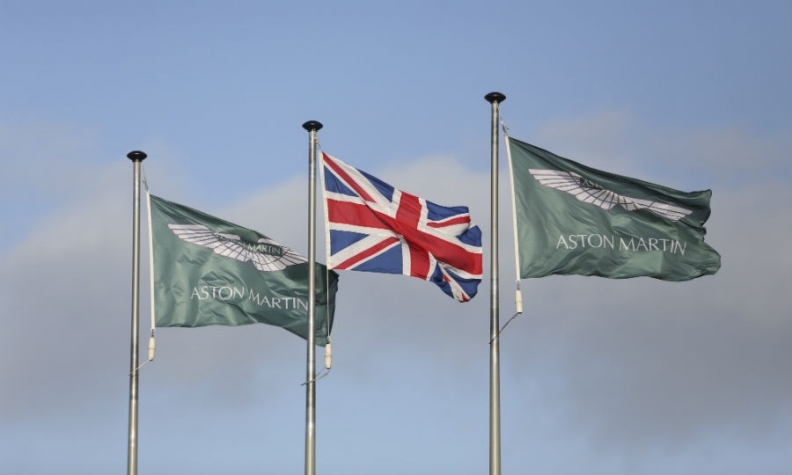 LONDON -- Aston Martin warned that the future of niche British automakers could be in jeopardy if the UK doesn't flank its plan to ban gasoline and diesel cars by 2040 with r&d aid. "Legislation without the required support that you see in Germany, that you see in China, that you see in Japan, that you see in Korea, is potentially hazardous to the future of our domestic industry," Aston Martin Chief Marketing Officer Simon Sproule said. Britain will ban the sale of new gasoline and diesel cars starting in 2040 to reduce air pollution, environment minister Michael Gove said on Wednesday. Sproule said the UK risks simply becoming a massive importer of batteries if it doesn't fund the transition to zero-emissions technology. Even with help, a future with only electric vehicles poses a challenge for automakers such as Aston Martin, McLaren Automotive and Morgan Motor as cars such as the Aston Martin DB11 would lose the characteristic growl of their engines, a key selling point for performance vehicles. Aston Martin will test whether its customers are willing to pay for a battery-powered model when it rolls out the all-electric RapidE in 2019. And by 2040, the Gaydon, England-based manufacturer plans to offer a zero-emissions variant of all of its models, but "electric vehicles won't work in every situation for every consumer," Sproule said. "Does the UK have a global aspiration to be a leader in this space? I'm sure the politicians will say absolutely, they do," Sproule said. "Well let's see the evidence of that, because that investment needs to start today." "We could undermine the UK’s successful automotive sector if we don’t allow enough time for the industry to adjust," warned Mike Hawes, chief executive of the Society of Motor Manufacturers and Traders.